I wanted to take a weekend off to relax, unwind, and explore without venturing too far away from home. Catering to my wanderlust-induced spirit without compromising on some quality down time, I decided to take a staycation at Sofitel, Mumbai. 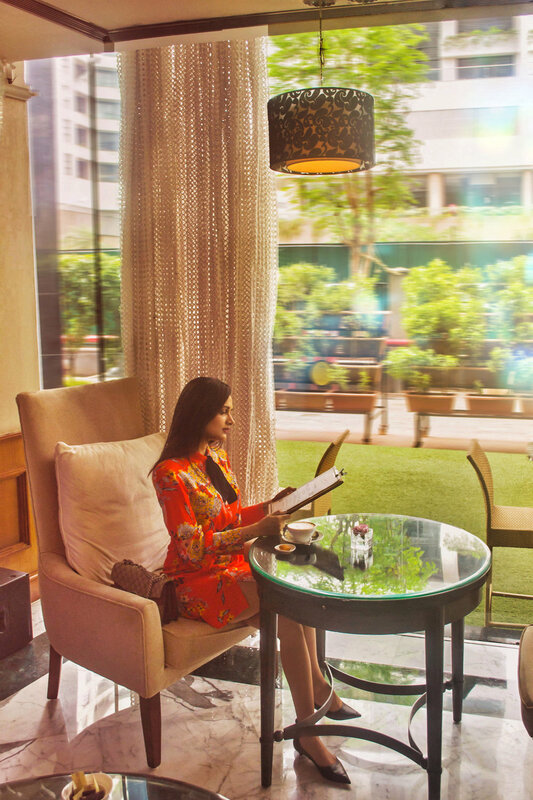 The hotel, located in the heart of the city’s financial district - BKC, is the perfect blend of French ‘art de vivre’ and warm indian hospitality, that offers unparalleled skyline views, varied fine-dining experiences and is just a short drive away from the airport. We checked into the lovely Luxury Room on the 37th floor of the hotel. The pristine room had a chic, upscale décor that offered sweeping views of the city, lavish hardwood timber flooring, a beautiful bathroom with an oversized tub featuring The French Note toiletries, and a separate shower area. Sofitel's signature MyBed all-feather matress and soft linens ensured that we had the most comfortable and restful sleep. When it came to service, the hotel concierge made an appoint to go above and beyond in ensuring our comfort and convenience with the provision of bath robes, laundry services, and a variety of tea and coffee to amp up our caffeine kick! We spent a leisurely evening sipping on wine and light bites at the Le Bar Diamantaire. The bar sports a majestic floor-to-ceiling Wine Tower that hosts over 800 bottles of select Indian and international wines. The extensive multi-cuisine buffet at Pondicherry Cafe was the highlight of our night. We indulged in some delicious pork ribs, momos, calamari, Thai curry and jasmine rice. The night ended on an even sweeter note with fudge brownies and a classic red velvet cake. Just perfect! The next morning we delighted ourselves with delicious artisan pastries, tarts, croissants and coffee while taking in the beautiful monochrome décor at Artisan – Imstagram-worthy dark countertops and minimal white spaces. Not to mention the ample space is ideal for travelers that want to catch up on work emails or just unwind and read a book. Whether a staycation within the confines of Mumbai, or a luxurious vacation away from home, I highly recommend giving Sofitel a try as I have immensely enjoyed my stay and look forward to visiting again soon. This post is in collaboration with Sofitel, Mumbai. Thoughts and opinions are my own.